Red Lobster is a great plaice to eat fish on Friday! 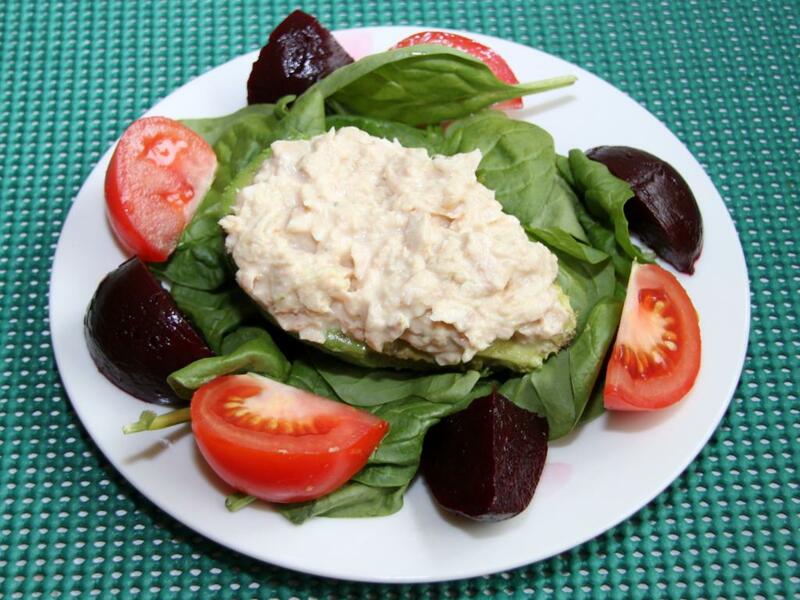 Avacado & Tuna salad: Quick, inexpensive, healthy & nutritious! Although it is often the case, things don’t have to taste or look bad to be good for you! You also don’t have to pay a fortune to have healthy and delicious meals. Our recipe today is a case in point. It’s not really even a recipe, just an assembling of ingredients. The only real trick here is picking the avocadoes at the store so that they are ripe at the time you want to eat them. Not necessarily an easy thing to do. Generally, you only have a two day window where they go from green to ripe to bad! What you will need: One ripe avocado, peel off, stone out and halved. One can of flaked or chunked tuna. Salad, spring mix or baby spinach. Seasonings and dressings according to taste.. Preparation: In a plate or bowl lay down a base of green leafy salad. Place the avocado half on the salad bed, hollow side up. Next, fill the avocado with the tuna. Personally, I mix some mayonnaise, greeen seasoning and a touch of chili sauce (the ketchup style one) to add some colour and flavour to the tuna but it is not necessary. Now add some colour with salad fixings. We used tomato and pickled beets but you can add anything that you have on hand. The trick is to use colour to make the dish more interesting. It also turns out that different colours bring different nutritional elements as well, so in general, the more colourful your dish, the healthier it may be. However, this does not mean that decorating your salad with Smarties is good for you. That’s it, that’s all! Bon Appetit!